When the student is ready the teacher will appear. I have heard this quote many times in my martial arts training. 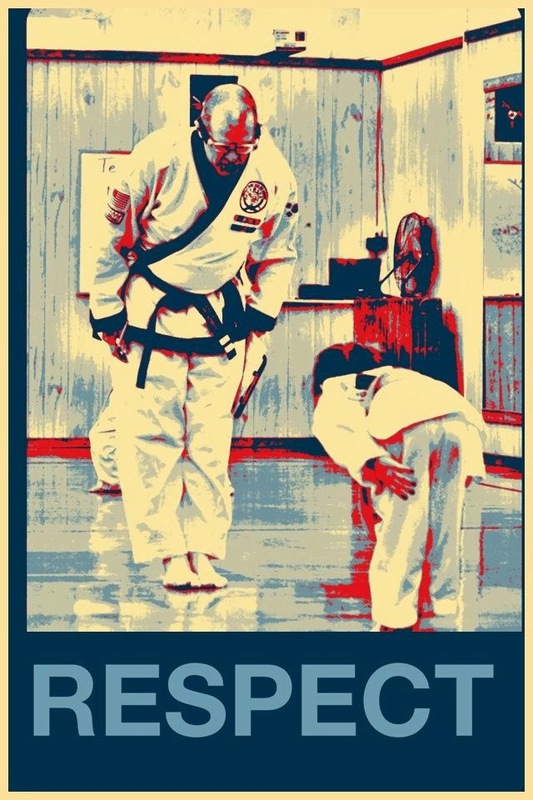 For the beginning student it refers to the student entering the dojang and wishing to start training in martial arts. It is a very primitive stage of martial arts training. Simply an agreement between the instructor to present the curriculum and the student to come to class and absorb what they can. In the beginning no more can be asked or expected. At some point in the students training they will transition to a stage of recognition. They have begun to learn and understand the techniques and begin to mentally link parts from various drills together. They begin to see the relationship between footwork and power or sparing and forms. At this point they are ready and the teacher again appears. Instructors will observe their practice, will answer their questions then give them new questions and avenues to explore and point them in the right direction. In the final stage there are more questions than answers. Many people do not make it this far. It is the stage of enlightenment. It is at this point that the student is most ready. It seems that there are instructors everywhere. In class there are revelations that occur while doing the most basic of drills. New insights that occur as the instructor is covering the same drills that you have done for years. On the internet where you look for techniques or subjects that interest you and then apply them to the direction of your training. With your peers when you exchange ideas on the things that excite you both. A very big part of this is final stage is teaching. Teaching forces you to view a subject critically. It is very hard to teach something that you do not believe in. If you cannot make a technique work for a specific student or yourself you must tear it apart and see what parts are critical and what can be modified or discarded. You learn the techniques inside and out. I am telling you this in hopes that you can know what is ahead of you and get to the last stage. After many, many years of training I have recently begun to experience the enlightenment. It is a very thrilling feeling. Learn something new every day and more importantly, having more questions every day. It is this that now drives me in my training. So it is very fitting that the circle closes with me being the student and my students, being the instructors, helping me to learn every day. Mr. Mullins began his Tang Soo Do training in 2004 under the guidance of Master Scott Homschek at the River Valley Tang Soo Do Academy in Ambridge, Pennsylvania. He earned his Cho Dan (Black Belt) in Tang Soo Do in June 2009 and His E Dan (2nd Degree Black Belt) in 2011. He also holds a Black Belt in Uechi-ryu Okinawan Karate and a Brown Belt in Shotokan Karate.